I was working in a movie theater in the summer of '87, so I got to see some of the same movies over and over again. One of those was Maid To Order, which will always have a special spot in my heart. 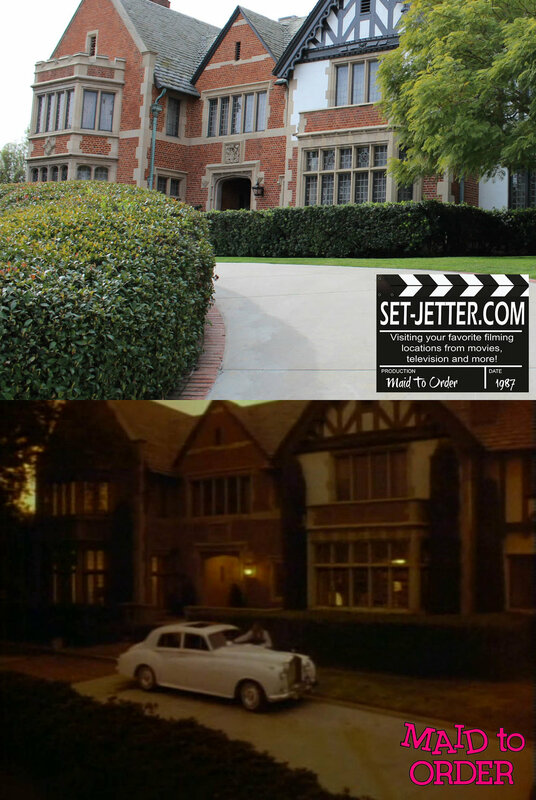 First up is Jessie's house. 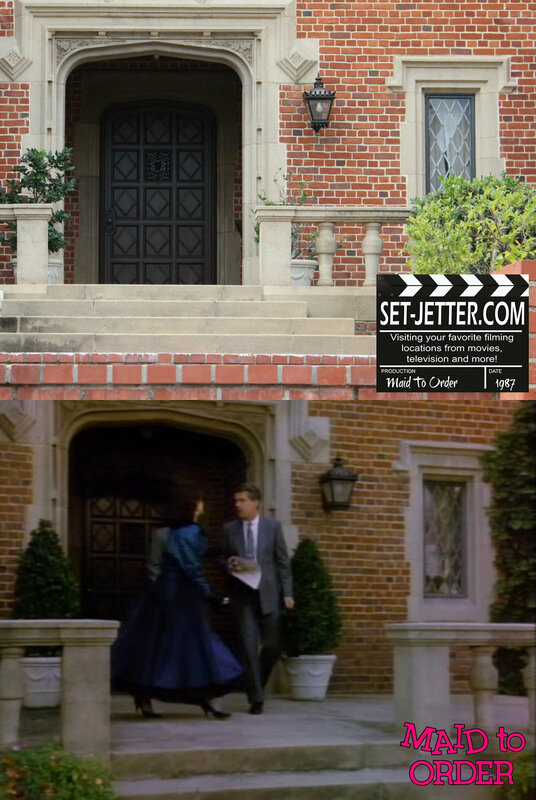 I had been searching for this location for a while, and long before the address became published, I happened upon it in 2011 while going to the mansion used in the Whatever Happened To Baby Jane remake. 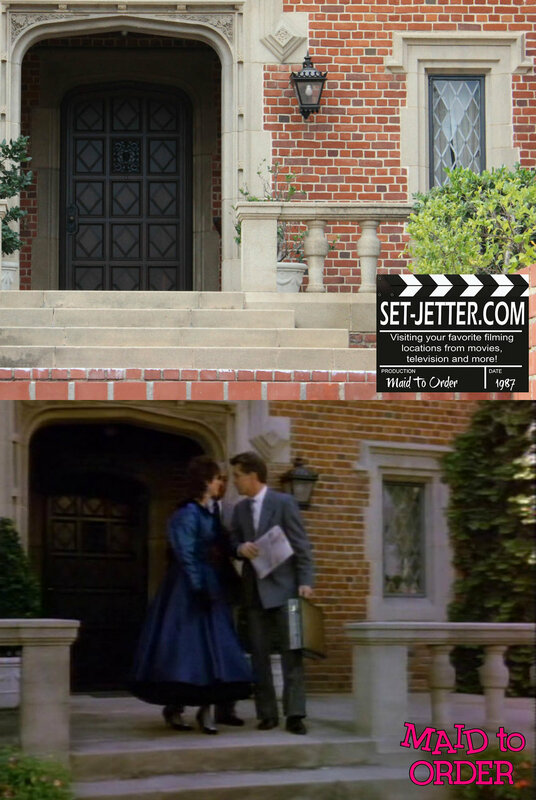 The house is located at 365 South Hudson Avenue in Los Angeles. As you can see, it looks pretty much the same as it did thirty years ago. Front door and steps, all the same! "I don't know any Jessie." 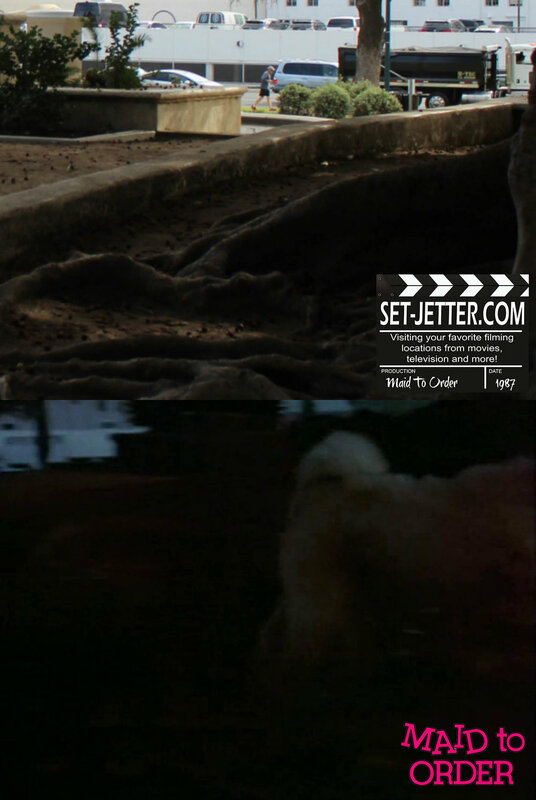 The tree that was there during filming appears to be gone, but otherwise very similiar. 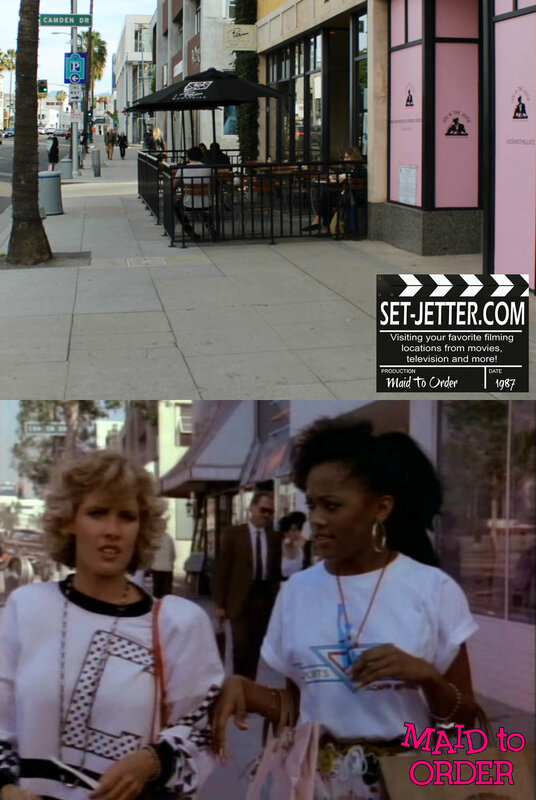 Jessie tries familiar territory in Beverly Hills, here in front of Cartier at 370 North Rodeo Drive. "Kimmy!" is played by a real life Kimmy, Kimberly Beck! 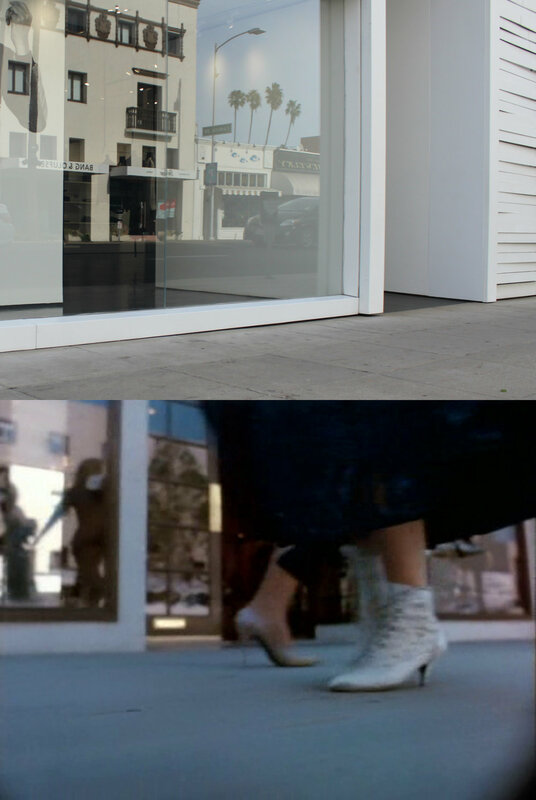 For the reverse shot, we are on South Santa Monica Boulevard. The buildings in the background have remained pretty much intact at the corner of Bedford and South Santa Monica Boulevard. 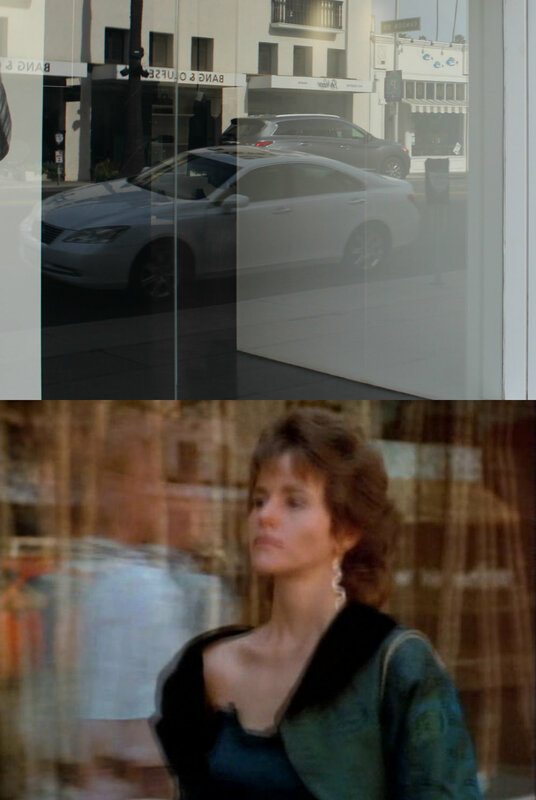 The door seen in the background is 9641 South Santa Monica Boulevard. 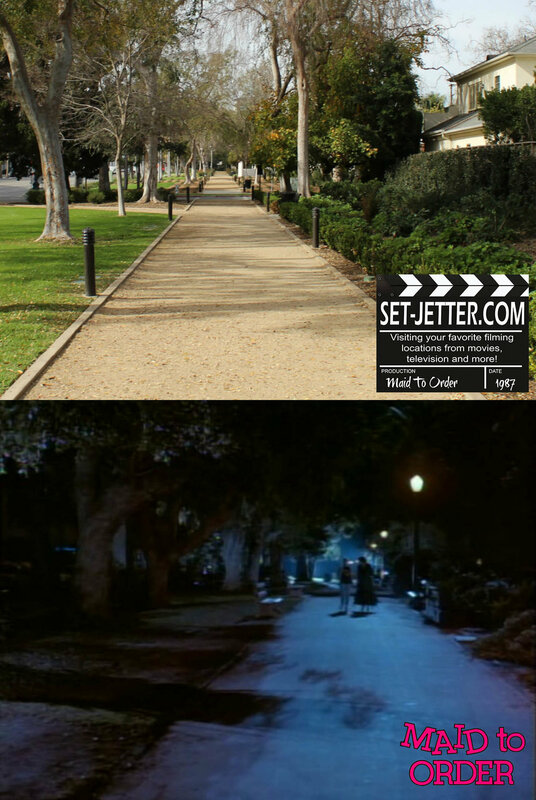 Because I was working with a pretty shoddy copy of the movie, I couldn't pinpoint exactly where this scene was shot, but it is obviously on the Wilshire Side Path Trail in Beverly Hills. 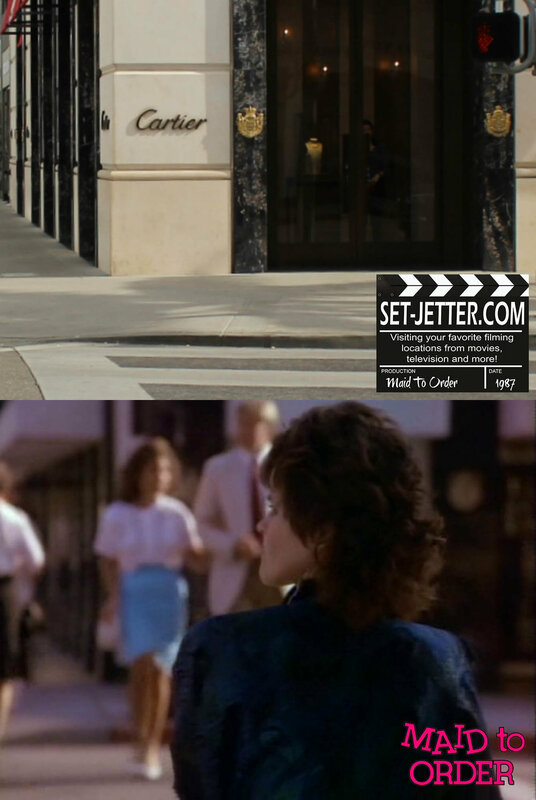 They eventually end up at the Electric Fountain at the intersection of Wilshire Boulevard and Santa Monica Boulevard. 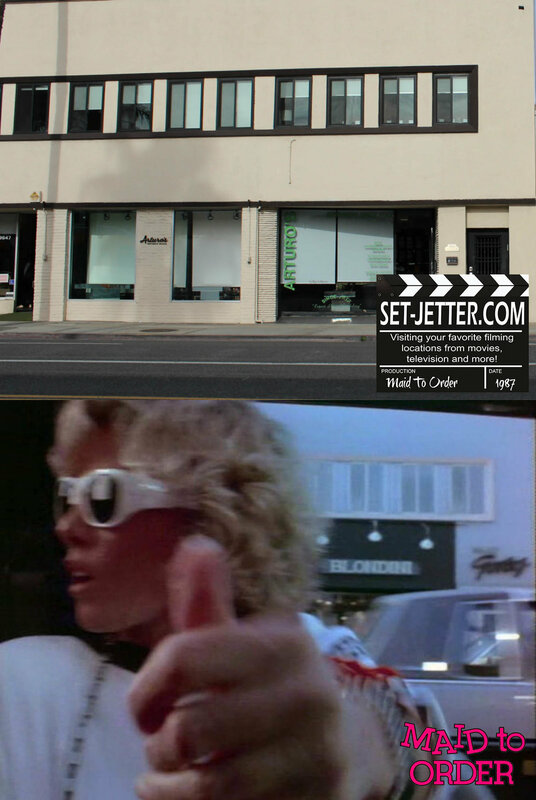 The spot is well known for it's appearance in The Go-Go's "Our Lips Are Sealed" video as well as the awful Clueless. The next morning, we are up the street at the Beverly Gardens Park at 9300 North Santa Monica Boulevard. Just behind the man jogging is the Beverly Hills sign. The dog makes his way to the Morton Bay Fig Tree, where Jessie is sleeping. A bit of a location fail here, but this is the spot where the light pole/traffic light was located, but has since been replaced. 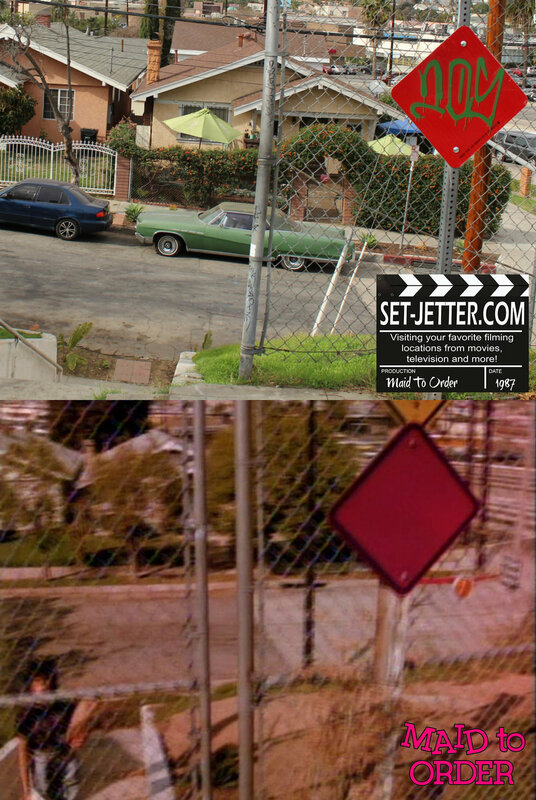 (I did include a Google Streetview of the original pole.) This is located next to Pacific Palisades Village Green park at 15280 Sunset Boulevard. Here is a promotional shot used in the film where you get a better look at the park in the background. I wasn't quick enough for this one! Here is where the gas station was located across the street, but as you can see has been torn down for more stores. 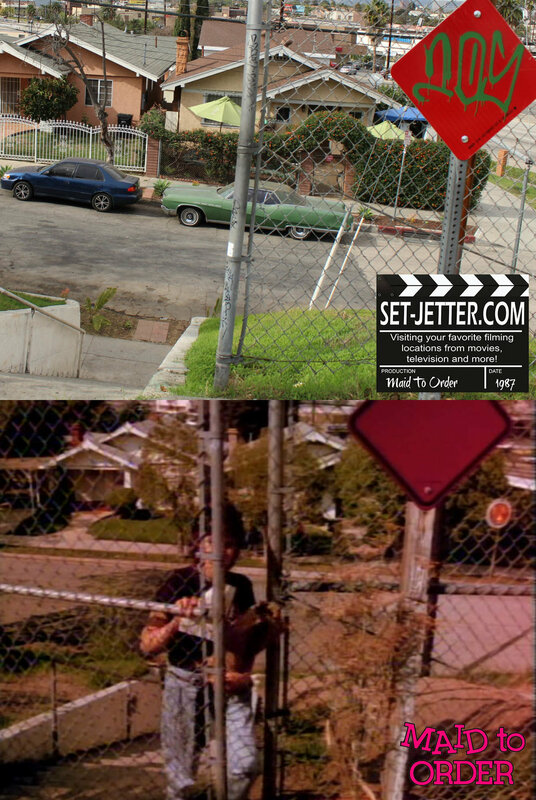 I included a few Google Streetview shots to show you how it changed throughout the years. After getting some new boots, Jessie is off to find a job. 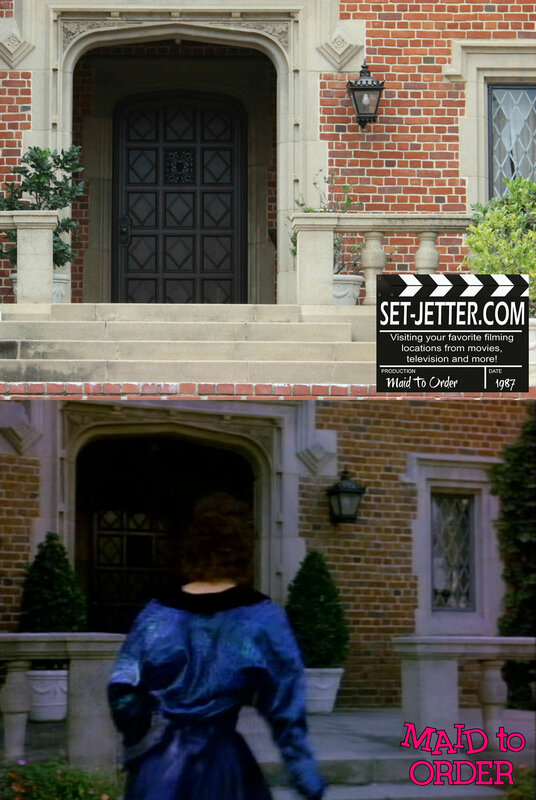 This is just up the street from the earlier location where Jessie confronts her old friends. 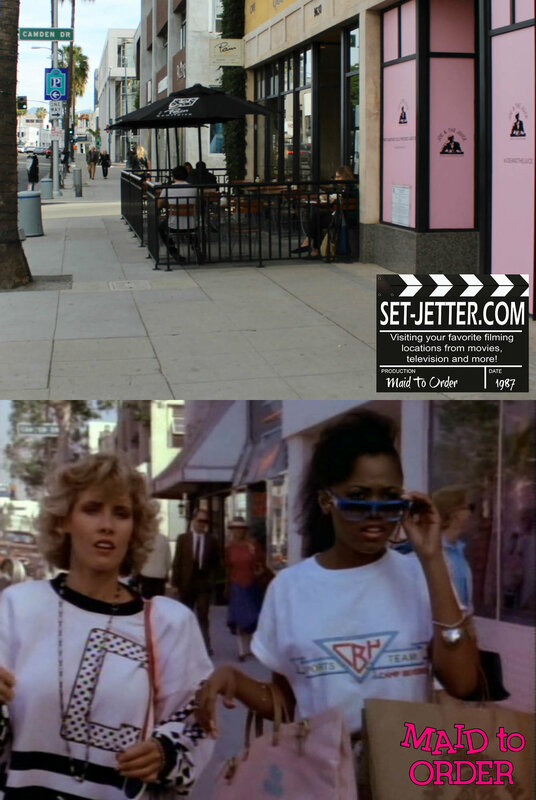 The storefronts have changed quite a bit here, but this is located at on the South Santa Monica Boulevard side of Saint Laurent on Rodeo Drive. 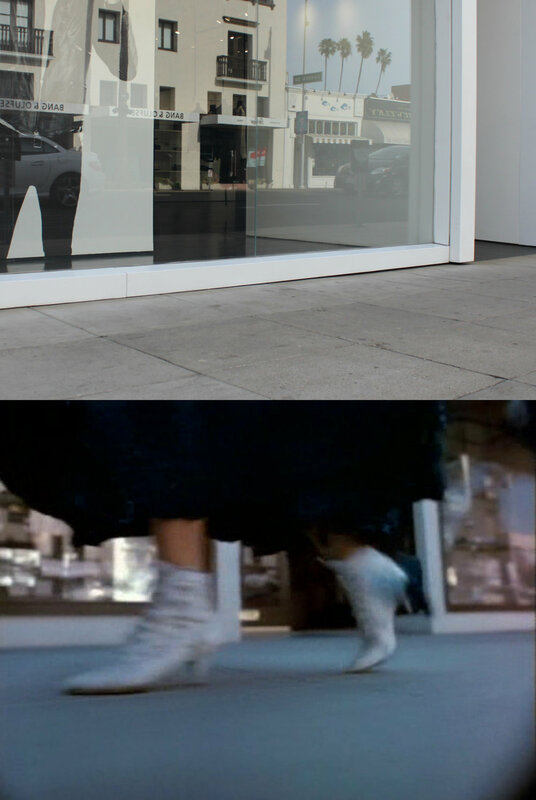 The building seen in the reflection is around 9517 South Santa Monica Boulevard near the corner of Rodeo Drive. 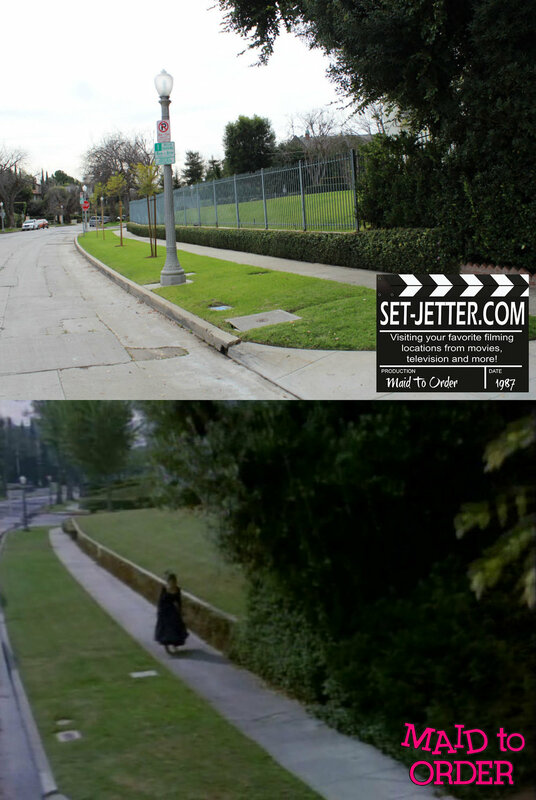 As Jessie makes her way to Audrey's house the bus appears to drop her off near the corner of Venice Boulevard and Vineyard Avenue. 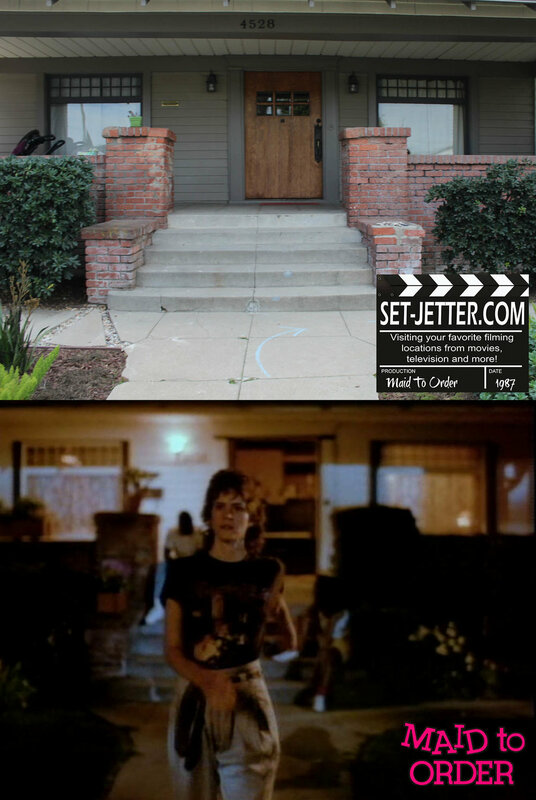 The dead end street is West 16th Place, and just a few blocks from the next location as well as the original Insidious house! 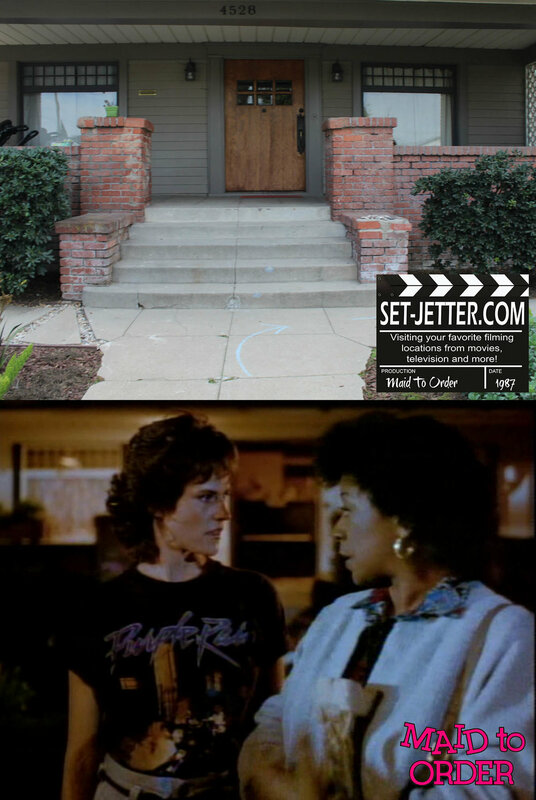 Audrey's house was pretty easy to find and is located the next street over at 4528 Lomita Street. I didn't go in the house, but found these pictures online when the house was for sale. For the best meal ever, Nick takes Jessie to Gallegos Bros. Tortilleria. Long gone and replaced with condos, it was located at 1424 Broadway in Santa Monica. Finally we are at the Malibu mansion, which of course is private and inaccessible for pictures. Here you can see the front gate, however. It is located at 32606 Pacific Coast Highway. But... I did take the time and energy to go around to the back of the house to see the steps to the beach. I vividly remember the shot in the movie because it is a big crane move over the cliff as it follows Nick and Jessie going down the stairs.